I am a young designer that really like to work with product projects, trying to add ideas that will make a sustainable project and solve the real needs of consumers. 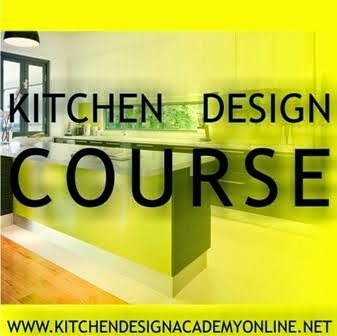 Whenever I can, i am reading books or surfing on Internet in design blogs and sites to get theoretical basement, references and inspiration that will enable me to become a capacitated and qualified designer to create or enhance projects that will improve the quality of user’s life. Woodworking and furniture production has always been a passion. The high specialization in this area and follow the entrepreneurial intuition, our family, in the sixties, based Polaris. Ours is an industrial reality in which the relationship with the artisan tradition, the choice of raw materials and a sustainable approach have become the method of production, which guarantees high quality. 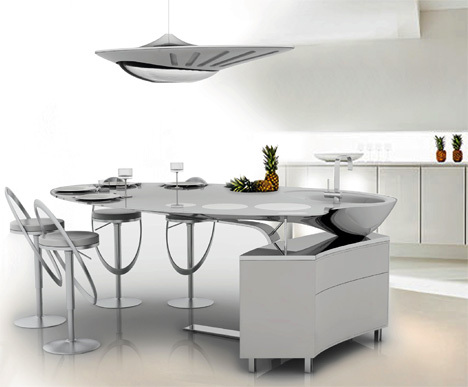 We immediately conceived the idea of ​​furniture as a unique element – design, versatile and solid – that characterizes our kitchen space. Over the years, the craftsman know, we have added the latest technology to offer a professional and cutting edge. At the center of all our projects ourselves first of all the person, his needs and desires. For this we are committed to creating spaces where design elements, innovative and modern, have the ability to make easier the actions that we do every day. In which the encounter between new technologies and many years of experience reveals passion, craftsmanship and attention to quality, the environment. The element boxis walnut, welcomes valuable tools and accessories. ARCHEA I. Thanks element boxis walnut, the rooms have the possibility to be equipped and organized to accommodate tools, dishes and food in the sign of the maximum capacity. The element boxis, walnut, matt white lacquered doors and columns equipped, lacquered yellow saffron, represent the functional evolution of the kitchen, revealing capacity and versatility. ARCHEA II. It is a rational project that was born with the desire to offer creative solutions and highly functional essential design and compact. The modular self-supporting, natural oak, is characterized by large dimensions and clean lines that communicate with each other to create storage spaces even above the island, steel Scotch Brite. VILLAGE I. The wooden door reinterpreted. The pure geometry of materials and finishes enhances surfaces defining a space kitchen natural and balanced. Anta in natural oak and top in white agglomerate. To best meet the personal needs you can choose the sliding curtain; drawers are modular modular, in line with the idea of ​​versatility. The planning and passion for the subject. EASY I. 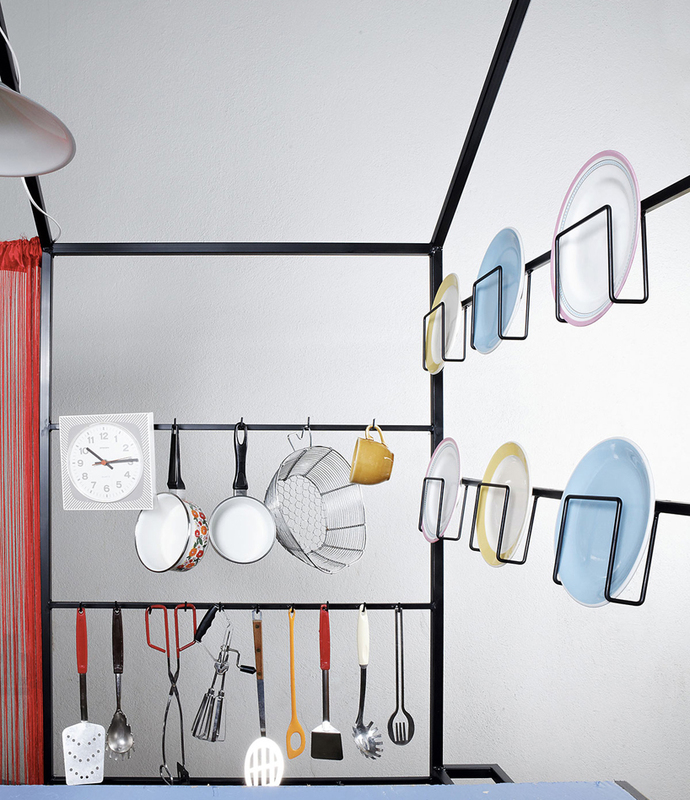 The large surfaces and the use of shelves and open elements guarantee the maximum freedom of composition. The use of oak nodato, the matt lacquer and porcelain, to the door and the floor, expressing the quality of the project and the passion for the subject. 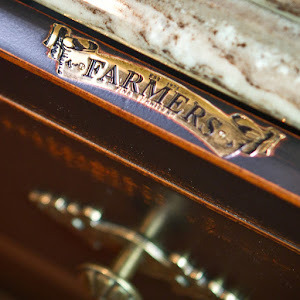 The drawers include a wide variety of modular containment as needed: cutting-edge technology and aesthetics exclusive operational center of the kitchen. EASY II. A new project for the kitchen characterized by large dimensions. Distinctive feature is the built-in handle to flush doors that defines volumes. A cuisine characterized by clean lines of shapes and colors – white laminate and particle – in the name of functionality and comfort. Strength, simplicity and functionality in a cutting-edge project. LIVING I. A project defined by aesthetical rigor and solutions, designed to ensure more rational organization of space and ensure operational capacity. Strength, simplicity and functionality characterize the equipment modular backrest and columns, defined by the new feel of the laminate Fenix, also used for the doors and the floor. LIVING II. It expresses his personality traits in fresh and original, and in the variety of material combinations by aesthetic evolved. The open space and natural oak with electrified bar, the floor made of stainless steel and integrated sink, the leaf mat and the wall elements, exceptional compositional versatility, are proposals that address the needs of space, ensuring the highest aesthetic quality. 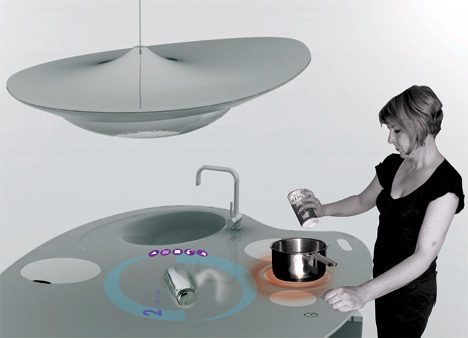 I wonder what else we will be seeing in futuristic kitchens, but for the moment let’s stick to what Nelly has for us. Since my French is no-good I’m going to do my best to explain what she is trying to convey. 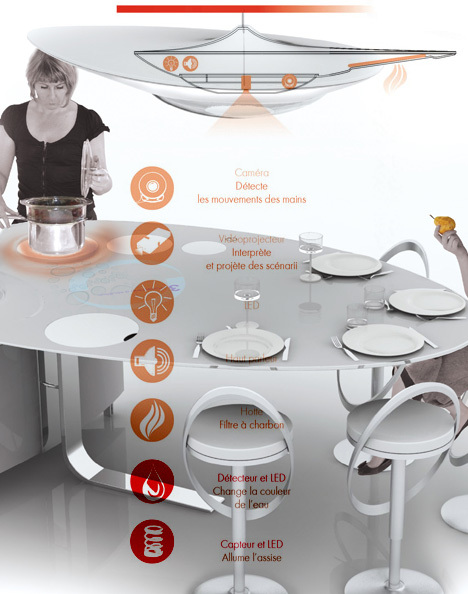 Oniris is the kitchen for the future that integrates technology to its advantage. 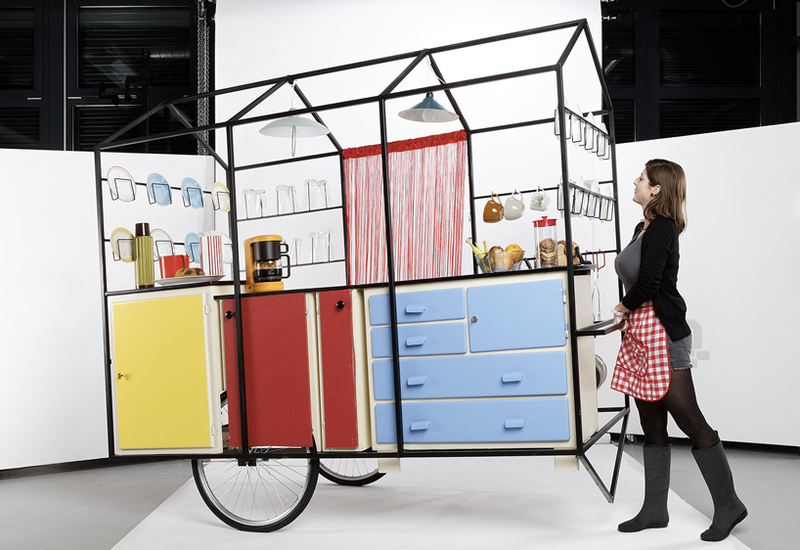 The central working unit doubles up as a dining, washing, cooking and storage area. There is a chandelier on top of the unit that houses LED lights, a motion-sensor camera and a projector as well. 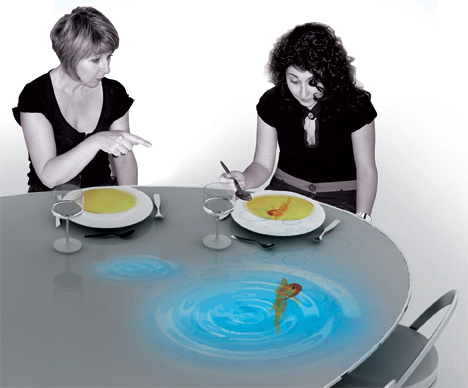 You guessed it, the projector displays recipes/images on the countertop. The graphic visuals can be programmed and pre-set for special occasion like birthdays etc. It can also be used to announce the meal courses in a very animate way. 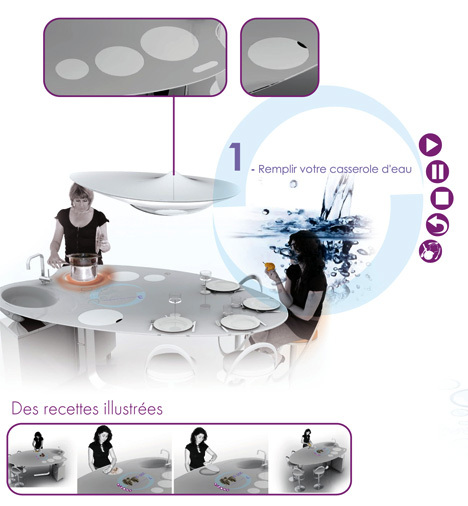 An induction cooking plate, storage cabinet and sensor-controlled faucet complete the concept. Now that I have conveyed the basics, my two-cents on this: I’m all for technology in the kitchen, but practical solutions for spills, heavy-duty cooking like we Indians do (read oily fried foods) need more tougher terrains. Overall verdict-Thumbs Up! 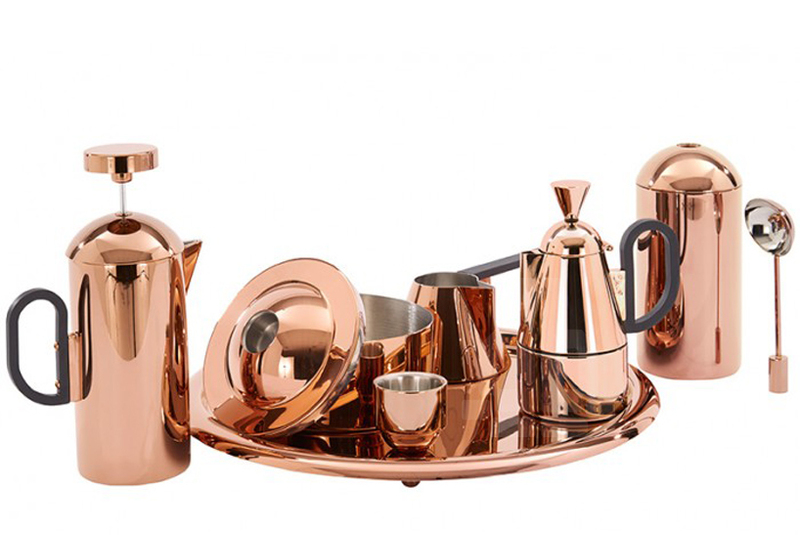 tom dixon presents ‘brew’ — a suite of gleaming, copper appliances for the coffee obsessed. debuting at maison & objet 2015 in paris, ‘brew’ celebrates the coming together of heat, steam, water and coffee grounds, and pays tribute to the modern-day ceremony of serving coffee. 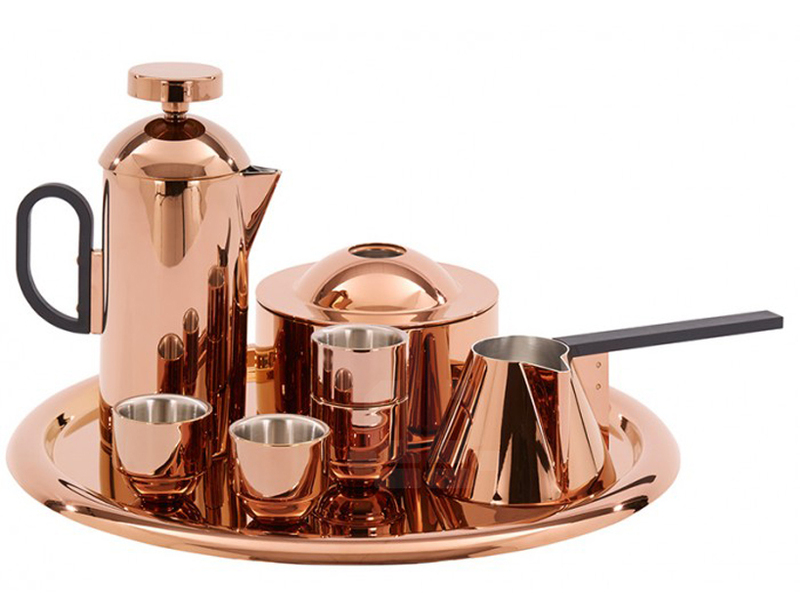 comprised of a biscuit tin, caddy, cafetiere, espresso cups, milk pan, scoop, serving tray and stovetop, the ‘brew’ collection sets the stage for the ritual of making and consuming coffee — from the push of the plunger, to the dunk of the biscuit. 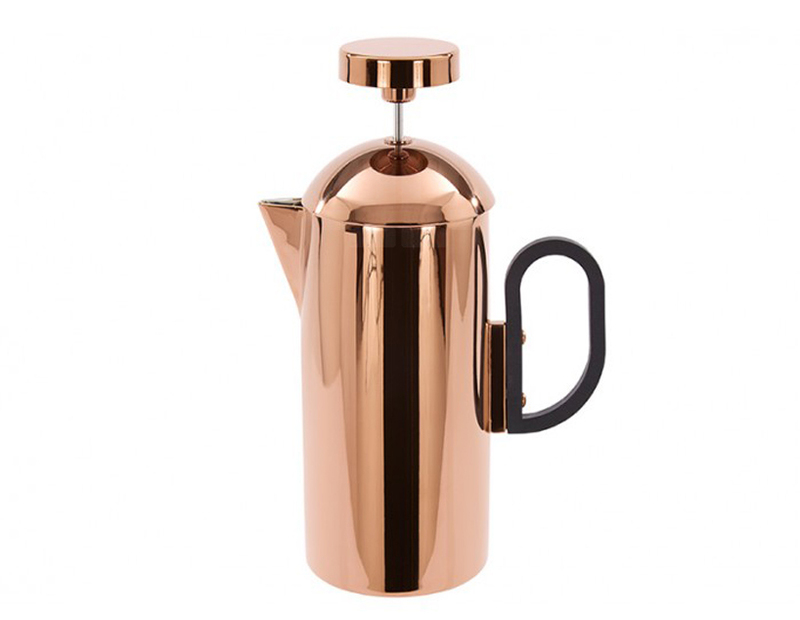 the ‘brew’ cafetiere is tall and tactile, exuding a futuristic art deco look. 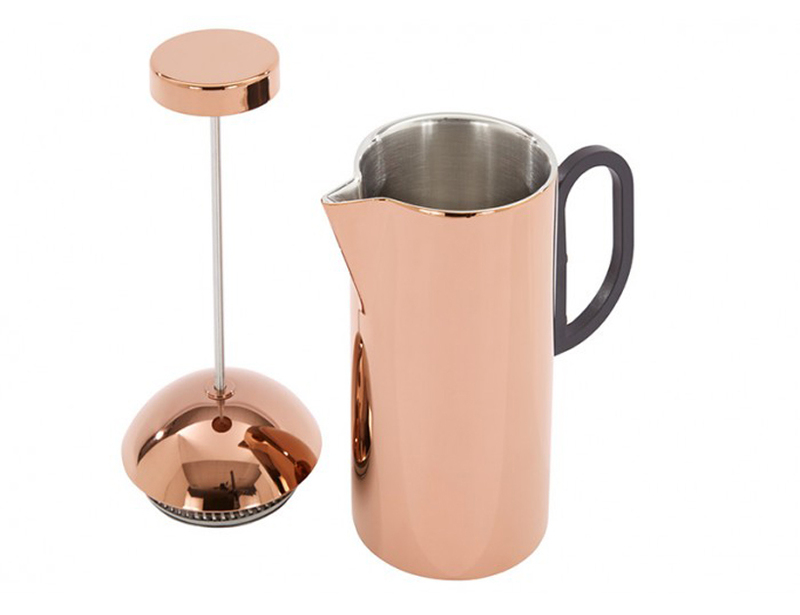 it’s brushed steel interior contrasts with its simple but striking high-shine copper finish, rendered with high precision-engineered to ensure smooth and easy plunging and pouring. 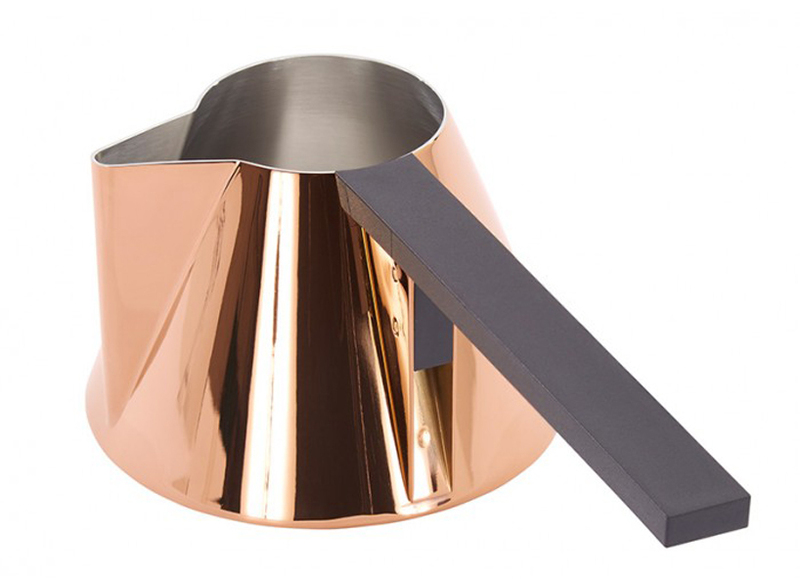 the result is a sleek, sturdy cafetiere — the centrepiece of the coffee ceremony. 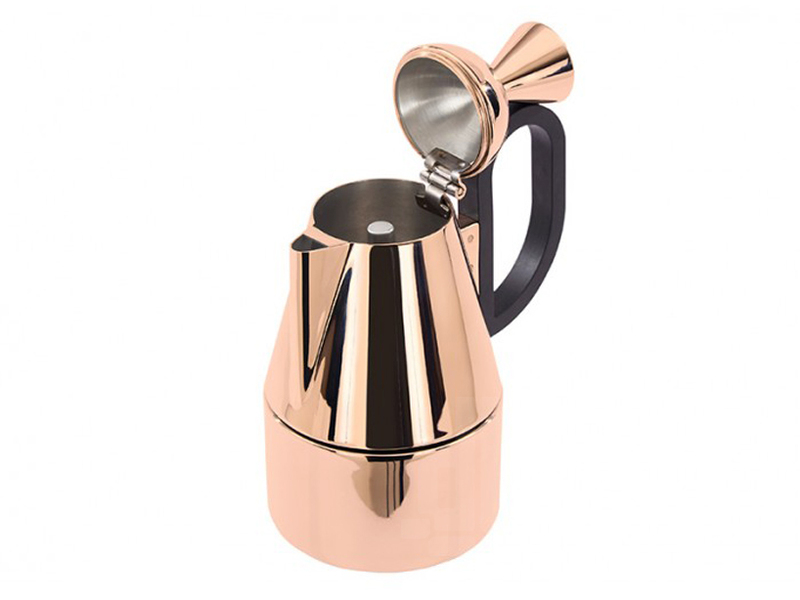 the ‘brew’ stovetop espresso-maker offers visual balance and elegance through a solid base and a heat-resistant, easy-pour handle. it’s ideal for everyday baristas, sunday-morning connoisseurs and after-dinner espresso aficionados alike. 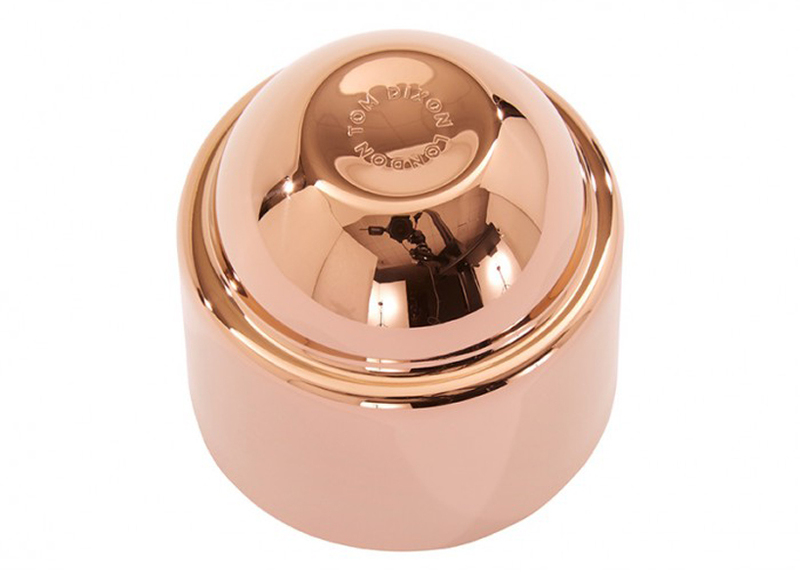 the stainless steel milkpan with a high-gloss copper finish is outfitted with a straight handle that has been engineered for even heating and perfect balance. 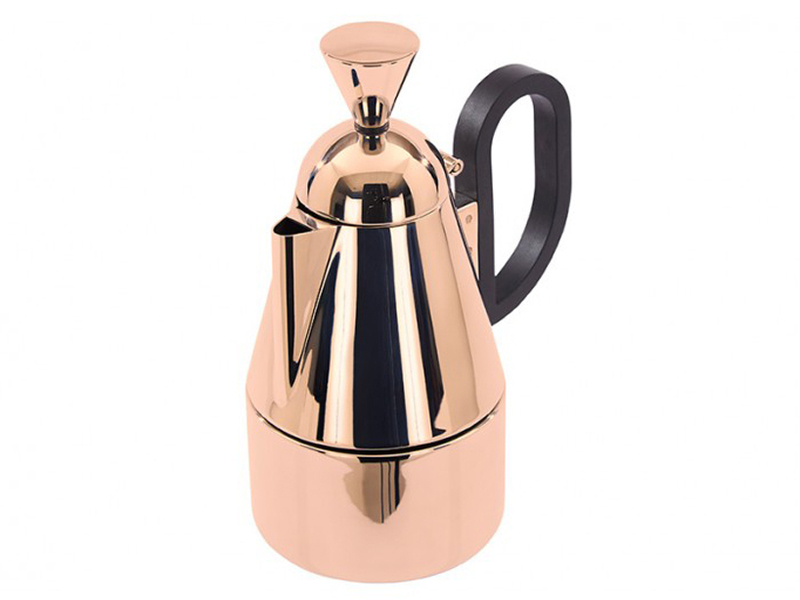 combined with its twin, the ‘brew’ stovetop, it creates a good café au lait. fine coffee should be stored with reverence. 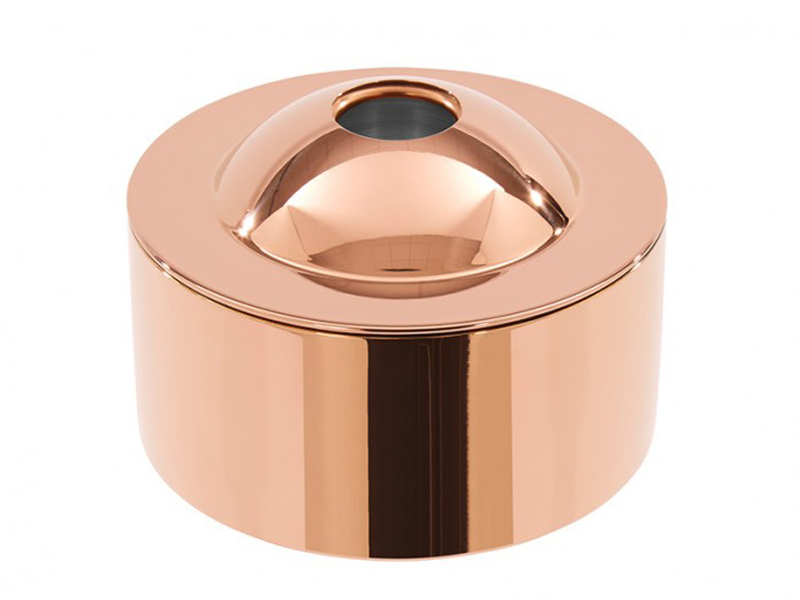 the bullet-shaped ‘brew’ coffee caddy keeps grounds fresh and flavorful in a capsule of polished steel, with a high-shine copper finish. 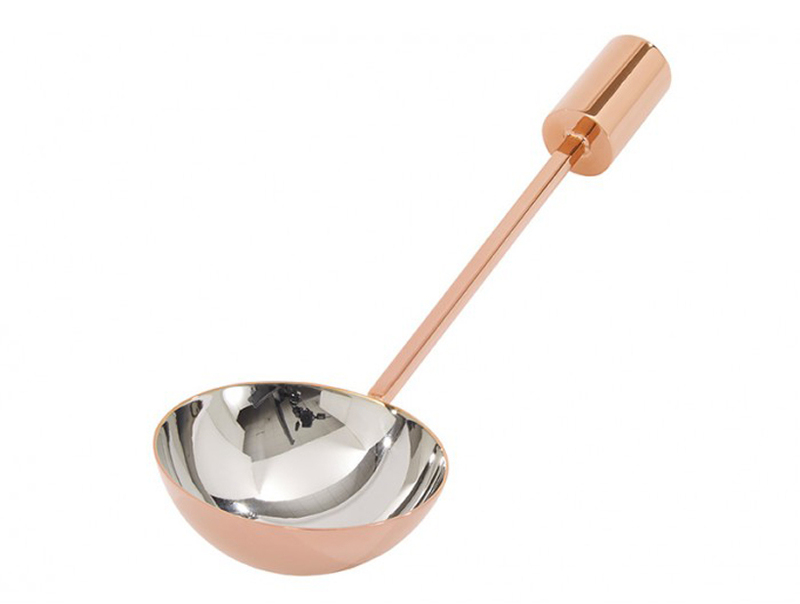 its hemispherical lid is engineered to fit neatly with the bowl of the ‘brew’ coffee scoop. 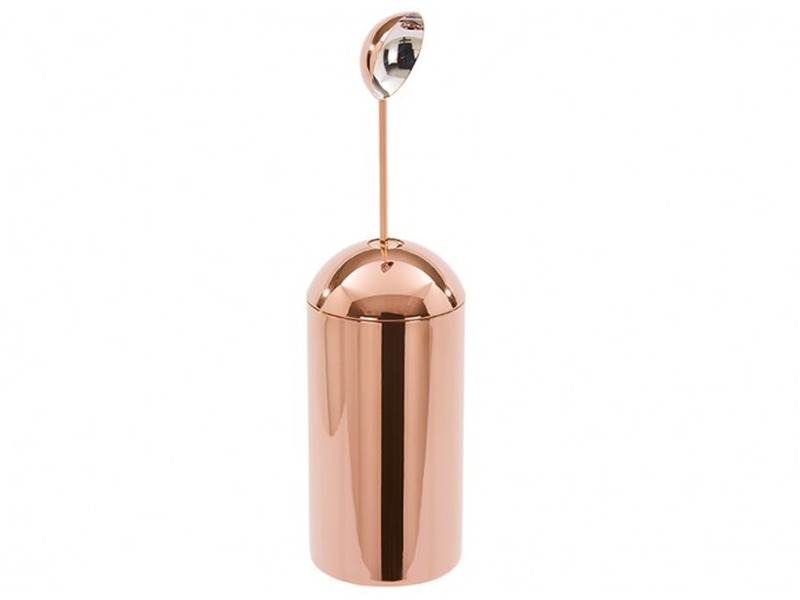 from caddy to cafetiere, the ‘brew’ coffee scoop is copper-finished with a cylindrical counterweight that allows it to stand upright. 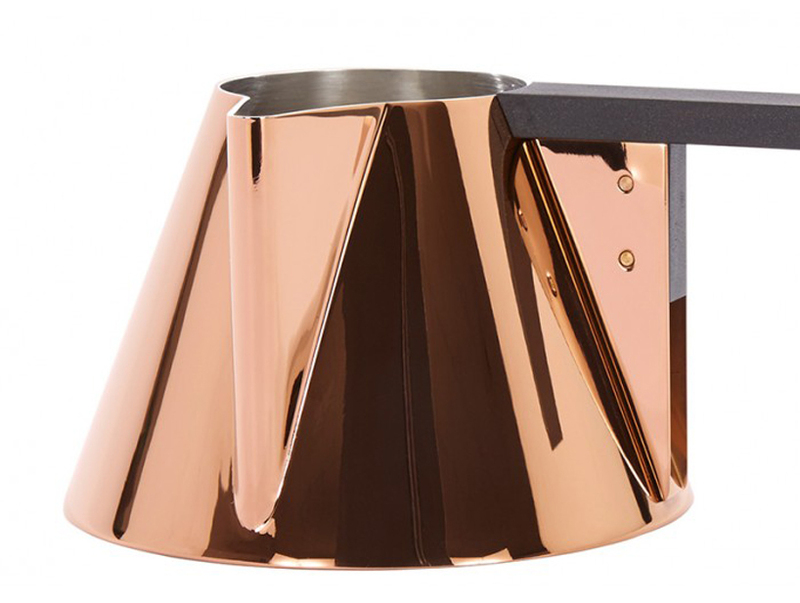 it has been designed to sit perfectly on the lid of the top dixon ‘brew’ caddy whenever services are not needed. 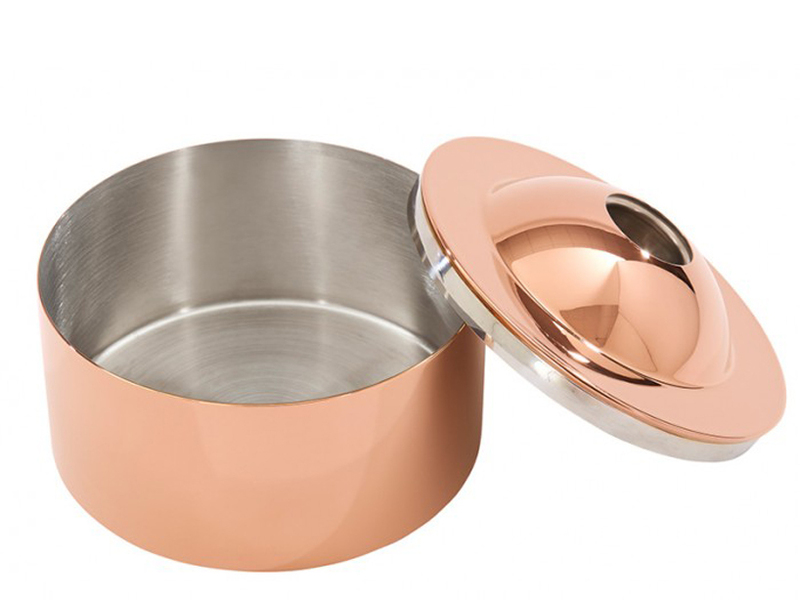 the wide round ‘brew’ biscuit tin is copper-finished, and has been fashioned with a brushed steel interior that keeps digestives and amaretti alike in tip-top dunking condition. 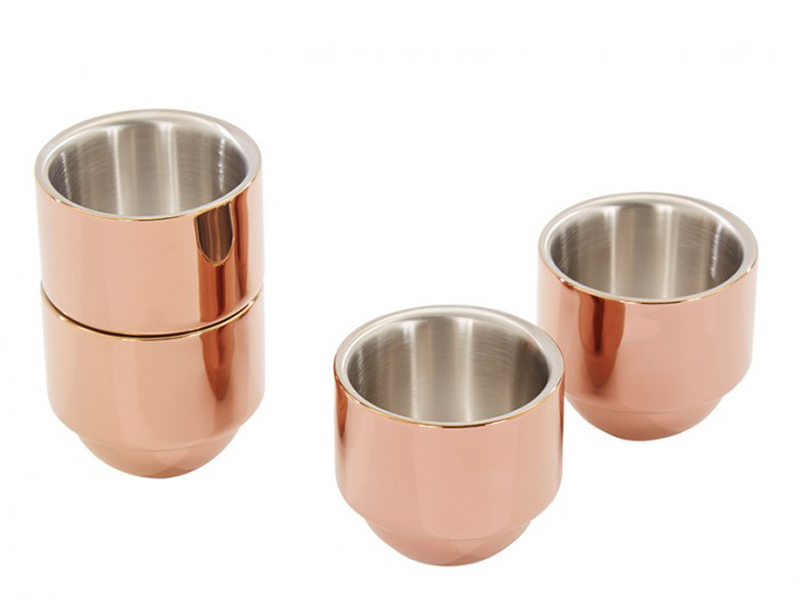 for the final, most pleasurable, part of the coffeemaker’s ritual: a set of four espresso cups that have been realized to be elegantly stackable, easily storeable and beautiful to look at. 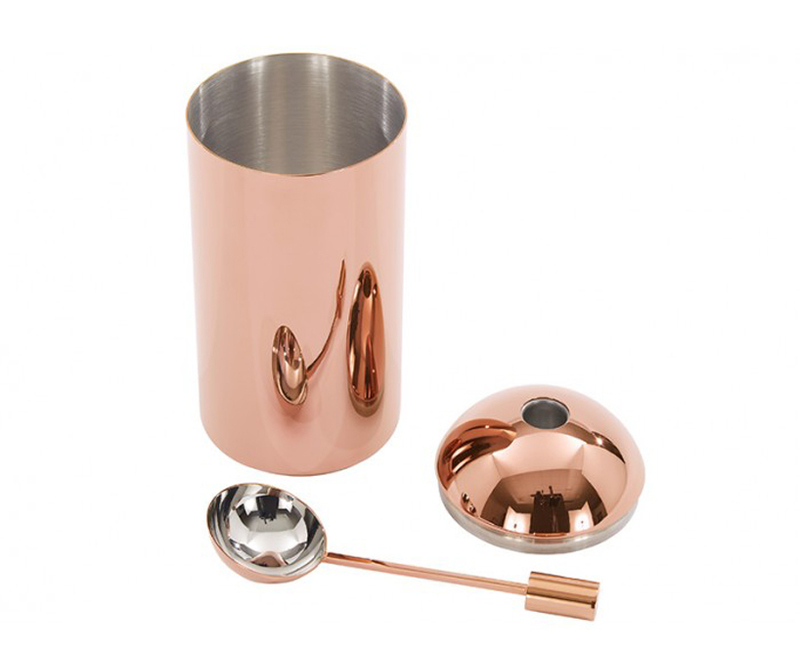 each comprises a polished steel interior with a gleaming copper finish – the perfect cup to start a day or end a meal. 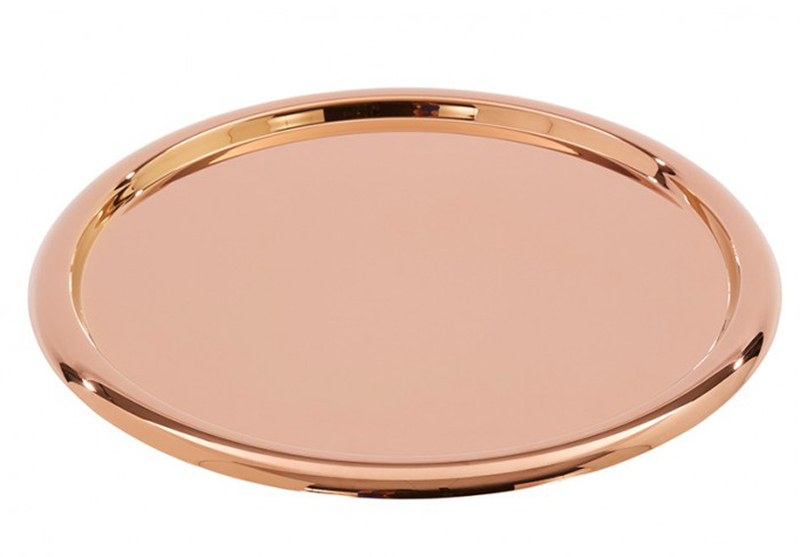 the ‘brew’ tray is designed to accommodate every item in the ‘brew’ range of coffee-making artefacts, but can also be used as presentation platform for anything that demands to be served with style. 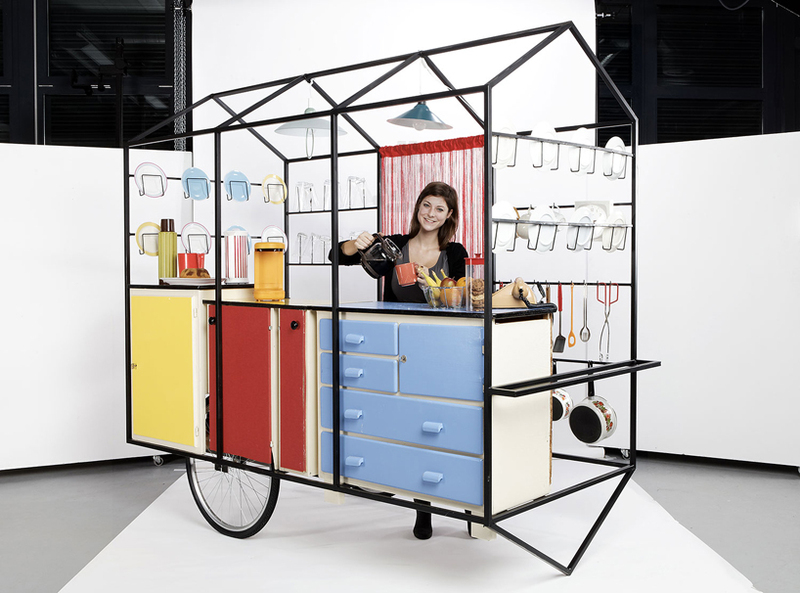 with another construction, the workshop concentrated on imagining mobile devices. the students imagined a series of transportable units that could form a small family of objects that could accommodate different functions. 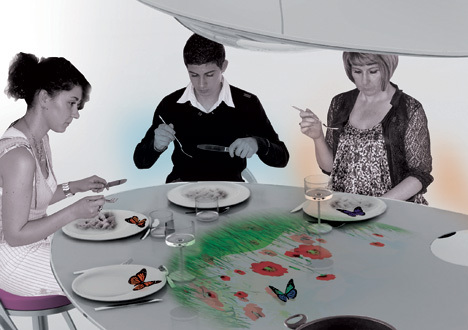 providing the needed energy for the exhibition, a gathering module included a table and stools, a café and a media centre with the purpose of visioning film material. a few of the other concepts will go under construction throughout the year.